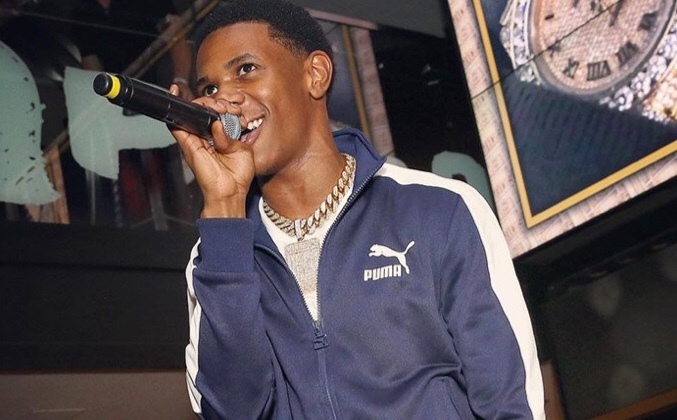 A Boogie Wit Da Hoodie is here with his new album totled “Hoodie SZN.” Boogie has been working hard for the most parts of this year on this music project and took to Instagram to announce that it will be available on all streaming platforms. New York artists like Juelz Santana, Kid The Wiz, and Dae Dae are already supporting A Boogie Wit Da Hoodie’s latest effort. The “Drowning” will also embark on the Monster Energy Outbreak Tour. The tour will kick off in Austin, TX on February 20, 2019. Don Q and Trap Manny will also join the tour as special guests. At the start of 2017 Boogie was featured in XXL’s Freshman Class Of feature. Later the same year, he released his debut full-length, The Bigger Artist, which was packed with guests, including appearances from Trey Songz, Chris Brown, Kodak Black, and Robin Thicke. in early 2016 he uploaded his first tracks to the Net. In March, he dropped his debut mixtape, Artist, while April saw him drop “Bag on Me” featuring Don Q. With a Meek Mill and DJ Khaled co-sign soon after, and the Highbridge the Label mixtape released in May, the Atlantic label signed a deal with Highbridge and issued the singles “Bando” and “My S**t” in July. EP TBA followed in October. The album features guest appearances from Tekashi 6ix9ine, Young Thug, Offset, Tyga, Juice WRLD, PnB Rock, Lil Durk, NAV, Don Q, Queen Naija, Trap Manny, Quando Rondo, and Lil Quee. The long list of features gives the project less of a personal vibe, and it plays like a collective narrative with several stand out verses. Stream and download Hoodie SZN below.